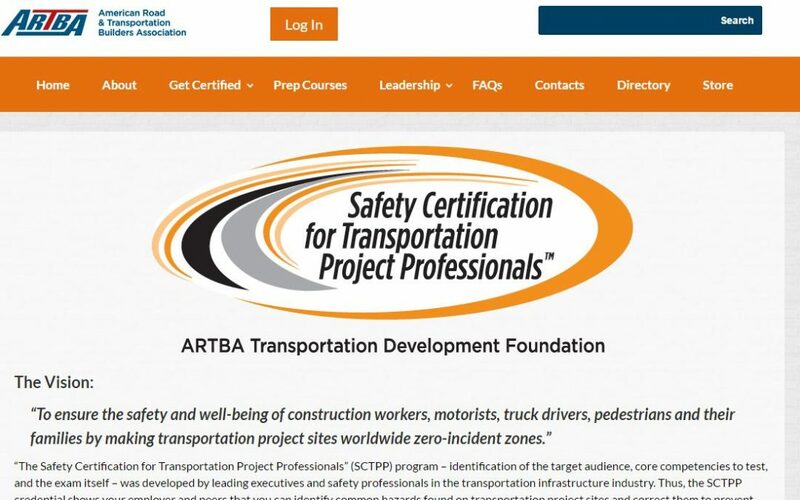 ARTBA’s Foundation has developed a valuable online learning platform that can help industry workers preparing to take the Safety Certification for Transportation Project ProfessionalsTM (SCTPP) exam. ARTBA’s Online Learning Center (OLC) allows users to earn professional development hours (PDHs), stay on top of new technologies and regulations, and generally make themselves stronger assets to their current firms or future employers. The courses are self-paced and accessible from any device that can access the internet, including smart phones, tablets and laptops. The digital content is available 24/7, which empowers participants to learn where they want to, review when they need to, and apply their new knowledge, skills, and abilities. Students can replay content and retake tests until they master the material. The courses were developed by a team led by Beth MacNeil Stinson, ARTBA’s director of education and online learning, who has two decades of public and private sector experience creating educational content. 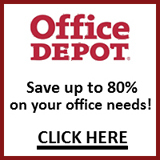 Communication: Covers the different types of communication employees need to effectively lead a team and how to avoid mistakes caused by miscommunicating critical information (1-PDH). Environmental Conditions: Shows how to identify and address specific hazards based on working at night, in different climates, in different weather, and near water (2-PDHs). Hazard Control: Details how to detect the most common hazards found on transportation construction work sites, the threats each hazard poses to workers, and how to mitigate the risks by applying elimination, substitution, engineering controls, administrative controls, and Personal Protective Equipment (2-PDHs). Personal Protective Equipment (PPE): Discusses the different types of PPE workers need for different jobs in a work zone, how to select and maintain PPE for transportation construction projects, and how to establish a work zone culture where everyone always uses PPE (1-PDH). Traffic Control: Demonstrates how to implement an internal traffic control plan (ITCP) to manage workers, vehicles, and equipment in your work zone, and how to implement a temporary traffic control plan (TTCP) to manage vehicles and pedestrians outside the work space (2-PDHs). Work Sites: Reviews the hazards and required safety measures for working in trenches and other excavations, in confined spaces, and above ground. The courses contain reading, graphics, and video to support the training objectives (2-PDHs). Students will have the opportunity to print a “Certificate of Completion” that states the course name, number of PDHs, and the date completed after they have satisfactorily passed the course. The SCTPP program is aimed at the thousands of transportation project supervisors, foremen, inspectors, project planners and designers who could make a huge, industry-wide safety impact by learning core competencies necessary to identify and mitigate potentially life-threatening on-site risks. The two-and-a-half hour exam has up to 120 multiple-choice questions. They probe knowledge in assessing project risks, creating project safety plans, implementing and conducting on-going evaluation of a site-specific operational safety plan, and conducting incident investigations. The ARTBA Foundation says it plans to grow and expand the Online Learning Center, offering more courses to support training transportation construction professionals in health and safety and other topics. Industry professionals with ideas for such courses should contact Beth MacNeil Stinson at bstinson@artba.org. The SCTPP program and Online Learning Center are projects of the ARTBA Foundation, a 501(c)(3) tax-exempt entity established in 1985 that supports a wide portfolio of research, education and public awareness programs and activities.